It is Party Season and I am getting all my dresses and heels ready. I am loving this loose fitting, racer-back dress - the minimal style is very me and I love pairing it with the perfect black heels. 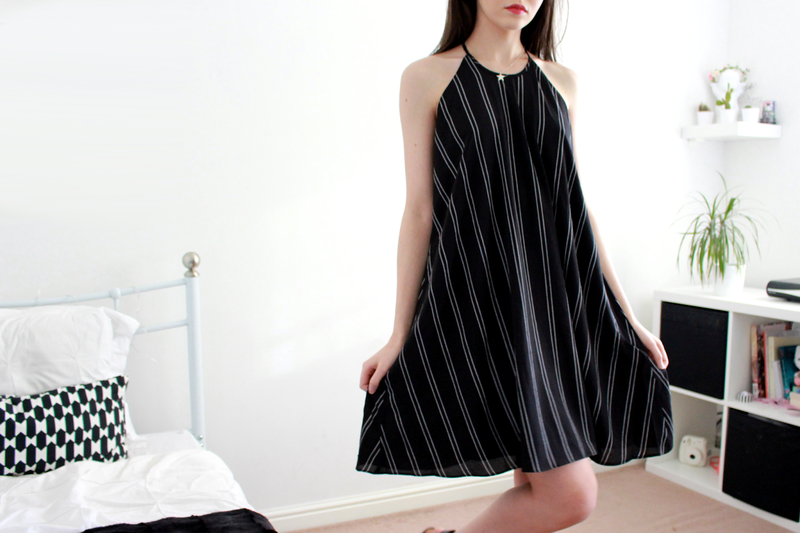 A simple dress can be styled gorgeously with the right accessories - that's why I love them! You can go more dramatic on your makeup too. I am thinking of doing a lookbook on YouTube for some party outfit inspiration so if you want to subscribe, click here! Ark currently have a 30% off sale, their Black Friday has come early, so don't miss out on some savings!! That dress really suits you, love it! !